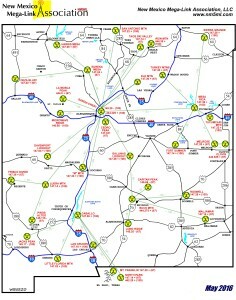 New Mexico has world class repeater coverage! Any Ham Radio operator is welcomed to use any of the repeaters listed below. However, URFMSI repeater linking and autopatch DTMF codes are confidential and for Full/Family members only. Note that autoptach is now available on the 146.90 machine. 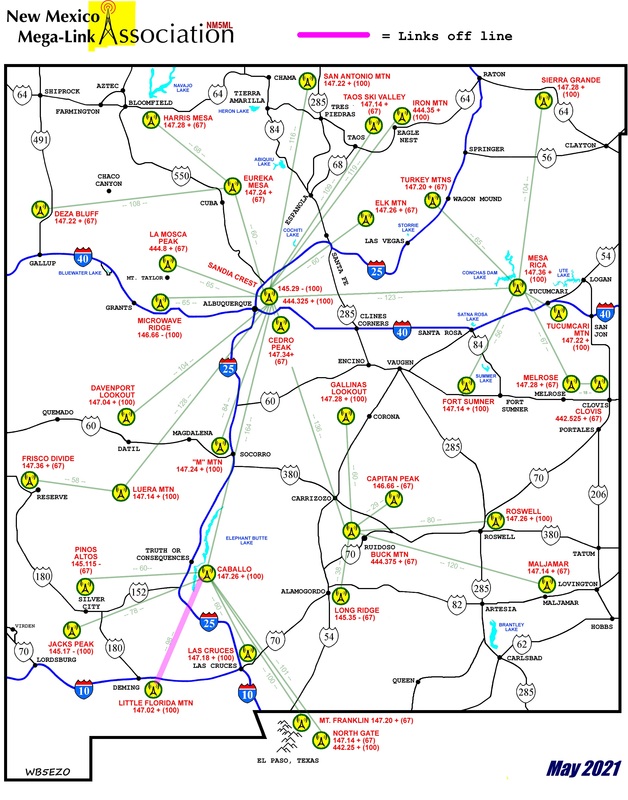 For a full size map of the Upper Rio and Mega Link repeater systems, go to the bottom of this page and click on a thumbnail. 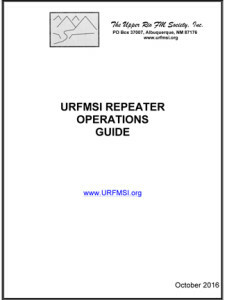 Here is a printable list of all repeaters associated with the Upper Rio FM Society (Upper Rio proper, Mega Link, and other affiliates. Upper Rio FM Society has a close working relationship with the Mega-Link repeater network. All URFMSI linking, autodial and phone patch commands are accepted by the Mega-Link. See the Mega-Link web site for a current listing of their repeaters. Taos Amateur Radio Club (TARC) repeaters are not yet linked into the URFMSI system. 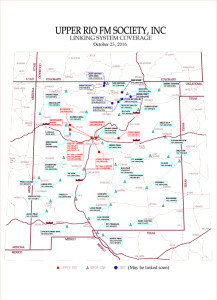 All Mega-Link information comes from their map dated May, 2016.